Time to widen the scope: in a moment in which the border between urban and rural gets fuzzier in terms of social demands, at least in Europe, some things can start change in both spheres. European laws (and others, but those in Europe are closer to me) institute citizen’s rights without making differences between those in rural and urban areas; citizenship, despite its etymologic link to cities, applies to everyone. But in fact the burden of transportation and communications implied differences in the aspirations of the residents of rural areas, which often saw the access to some services as almost impossible, and this was commonly accepted. During recent decades residents in rural areas have grasped better chances to access more services, first through cars, then TV, and then the internet; this has meant an evolution in their view of the urban life. It is still different to live in a small hamlet with 250 residents, half of which are over 60, but some things are now felt as rights in the same way in both kinds of territory. And the consumption habits get closer as the rural populations loses overall weight. This is catalyzer of change on a scale that goes beyond urban or metropolitan, either for good or for bad. Saying that cultivation fields get technician by the aim for more production can only be accepted if you speak in terms of millennia; improving crop yields has always been a goal for farmers, despite the bucolic vision some urbans have. There is a constant buzz now around the “developed countries” concerning smart cities and the future introduction of sensors, but this is also becoming common in many rural areas through improved irrigation systems. The image of circles formed by pivot irrigation are known to most of us, but drip irrigation, albeit less impressive when seen from above, is quite efficient, and the chances to mechanize recollection in some cases change many things. 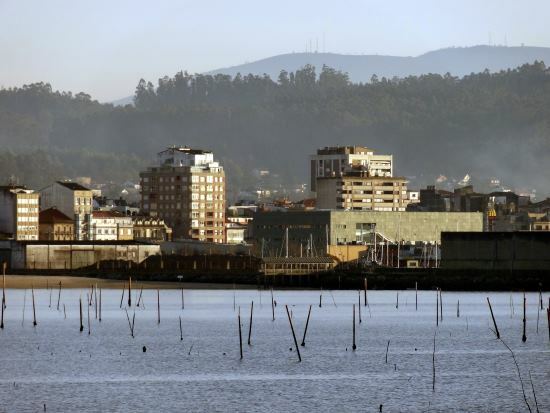 Vilagarcía de Arousa is a small city in Galicia (Spain) in which the traditional seashell raising is done just by the urban shore. Some 200 km west from Shanghai, I have not chosen this village due to direct knowledge (I have visited Shanghai, but for a very short stay), but rather as it seems to illustrate a trend which is global, only faster in China these days. An interesting network of traditional hamlets seem to progressively leave the place for residential subdivisions or other things that seem oddly far from any logical location. Can a feasible and modern agriculture exist, producing money enough not to lose in an irreversible way the landscape and the environment? Vegaviana is from 2009 a municipality in the province of Cáceres, in Spain. 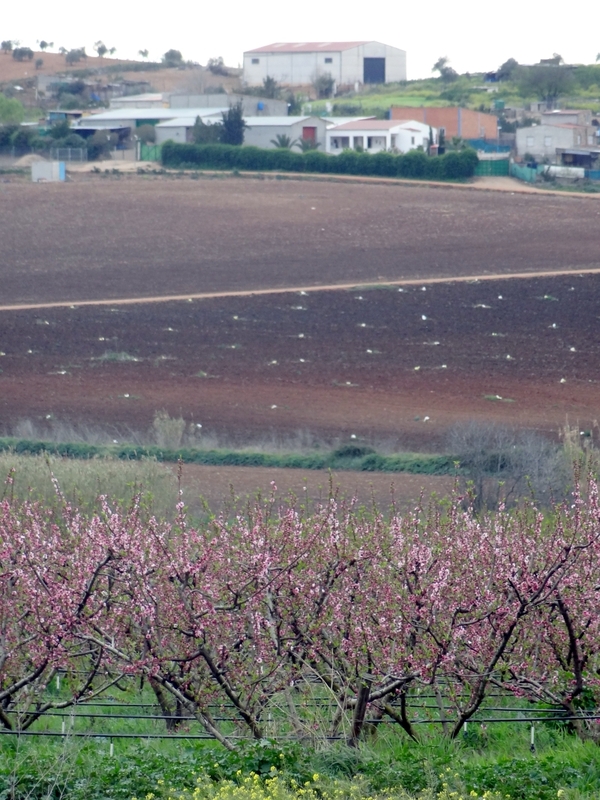 The settlement was created in 1954 as a new planned agrarian settlement, as a part of the internal colonization movement developed under the Franco Regime; large irrigation projects (in this case, linked to the Borbollón reservoir) were linked to these new agrarian towns. In 1961 there were 3.131 colonists, but today population is 863, as the area is subject to the same demographic trends that mark most of rural Spain. The architectural project, by Fernandez del Amo, was awarded, and as in most of these colonization settlements the humble architecture is well integrated in the landscape. It is usually the opposite to a golf course, as here productive land must be preserved as the reason for the urban tissue.